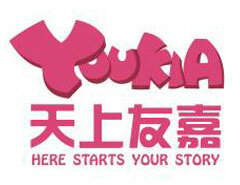 Youkia is a leading developer and publisher of web games and mobile games. Founded by a group of passionate game and internet industry professionals, it has a suite of own-I (Intellectual Property) games, matured development and management team and experience in managing large scale online game development operations. Youkia currently employs around 200 staff globally and is one of the largest webgame/SNS developer/operator in Chengdu, China.